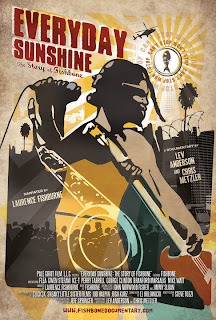 Review | "Everyday Sunshine: The Story of Fishbone"
NOTE: The following is a repost of my original Los Angeles Film Festival review, published June 16, 2010. Comparisons of Everyday Sunshine: The Story of Fishbone to 2009's hit documentary, Anvil! The Story of Anvil are inevitable. Both films deal intimately with a hugely influential band that never made it as big as they should have, despite fans and devotees who went on to become huge stars in their fields. While Everyday Sunshine lacks the emotional resonance of Anvil, it's still a fascinating portrait of the disillusion of a unique band whose original style not only rocked the music world, but inspired many who went on to successful and lucrative careers. The members of Fishbone, however, were not so lucky. Arriving in the midst of racial and economic tension in Reagan era Los Angeles, Fishbone was inspired by the flourishing punk rock scene, which many identified as a specifically "white" sound. The members of Fishbone, all African American, took punk rock and put their own special spend on it, blending punk with funk while incorporating the ideas and individual styles of each member to create a sound that defied categorization. The result was widespread critical acclaim and respect from fellow artists, but a completely baffled record label that had no idea how to market such an unclassifiable style, which didn't fit the sound of what was generally considered to be "black" or "white" music. 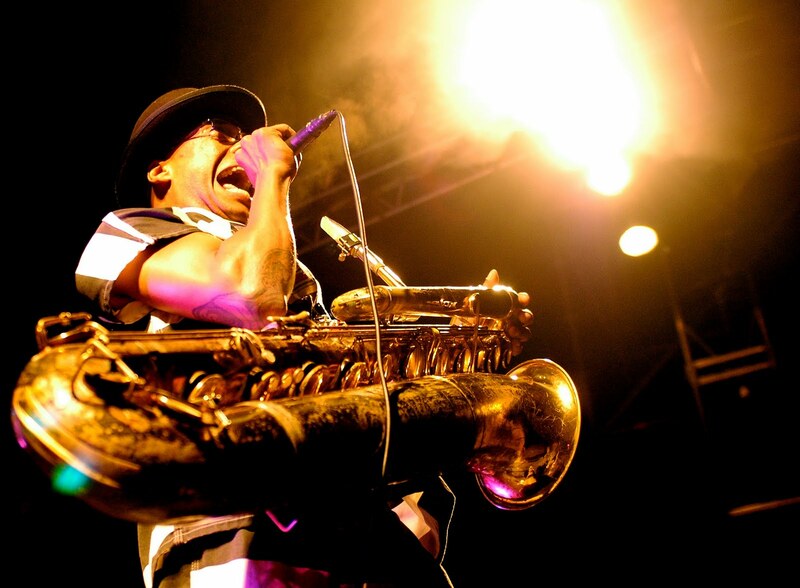 Fishbone defied stereotypes and obliterated racial divides, but their success was shortlived, and the band soon succumbed to infighting and creative disagreements. Everyday Sunshine mixes interviews with the members of Fishbone with members of the recording industry from Gwen Stefani, to Ice-T, to Flea, to George Clinton, each one detailing how they were influenced or personally touched by Fishbone's flair and creativity. The film's real drama, however, comes from the behind the scenes portrait of the troubles that brought the band down, whether it be band member Kendall's religious brainwashing and subsequent meltdown to creative differences that created rifts between the remaining members. Fishbone's Angelo Moore testifies to the crowd. Photo credit: Christian Pitot. Ultimately, it's not just the portrait of a great band that should have achieved greater commercial success, but of the dissolution of a democracy. 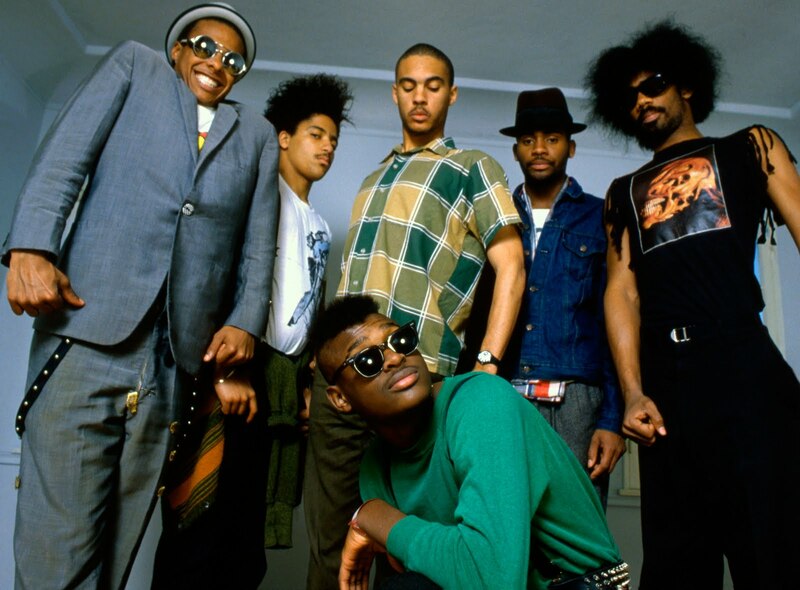 Fishbone started as the purest form of democratic artistry, incorporating each individual member's style and ideas into one unique sound that was impossible to pin down. But disagreements were all but inevitable, and in the end it was the very thing that made them unique that ended up bringing them down. And while original members Angelo Moore and Norwood Fisher have kept the band alive in various forms throughout the years, it has become less and less a democratic vision and more the brainchild of Angelo. Everyday Sunshine chronicles this evolution with remarkably clear eyes and lack of sentimentality, with narration by Laurence Fishburne. And while this kind of straightforward approach can be emotionally distancing, it's a fascinating historical account of a band most people should have heard of but probably haven't. It also lacks a strong conclusion to bring it all together after the band is reunited for the first time in 15 years. The film up until then, however, is an undeniably engaging look at a very specific moment in time, out of which came something truly unique. And while most of the world passed them by, Fishbone now lives on in celluloid form thanks to this spirited and admiring documentary. 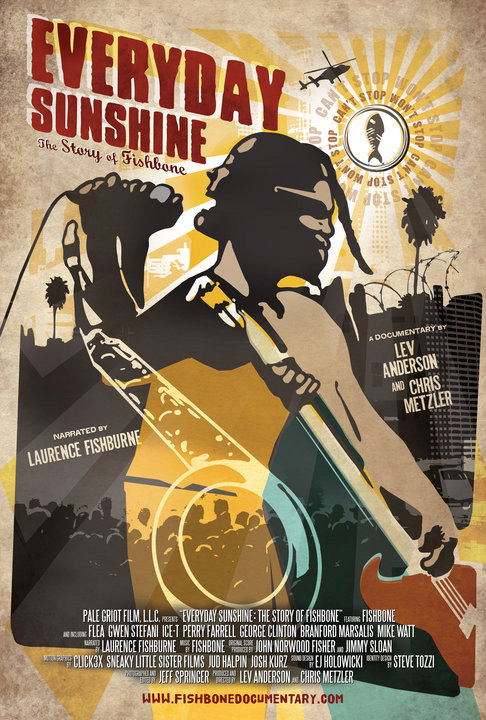 EVERYDAY SUNSHINE: THE STORY OF FISHBONE | Directed by Lev Anderson & Chris Metzler | Featuring Fishbone, Flea, Ice-T, Gwen Stefani, Perry Farrell, Bob Forrest, George Clinton | Not Rated | Opens Friday, 10.7, in NYC, and 10.21 in LA.